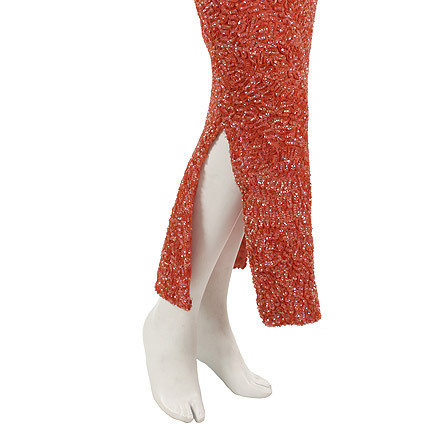 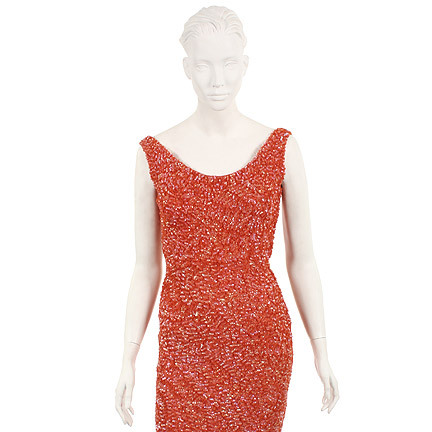 This costume was worn by the character "Zola Taylor" portrayed by actress Halle Berry, in the 1998 feature film "Why Do Fools Fall In Love." 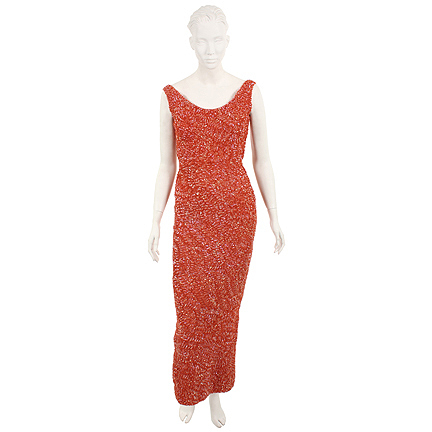 The gown is an original Don Loper, a famous California designer during the 1960’s. 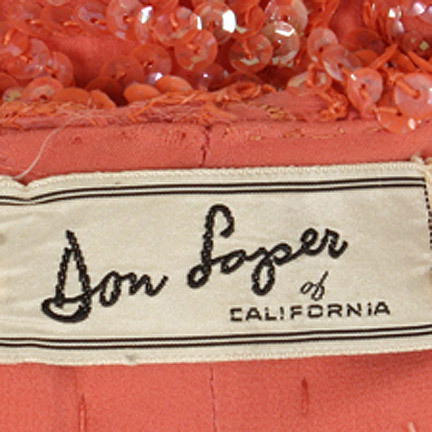 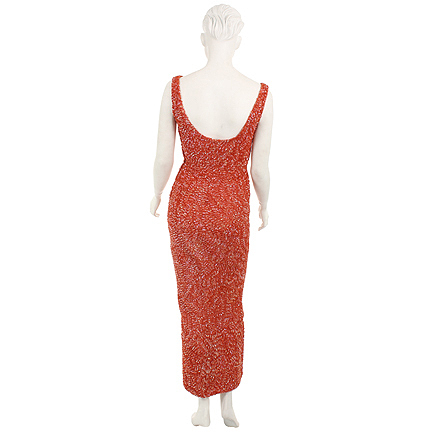 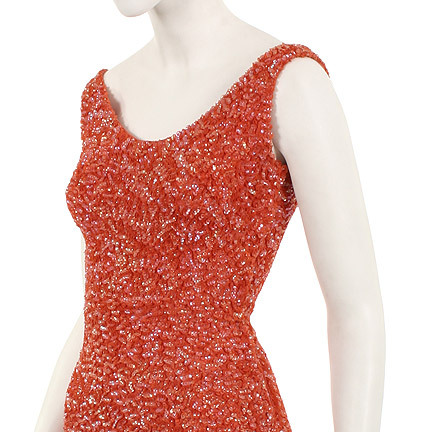 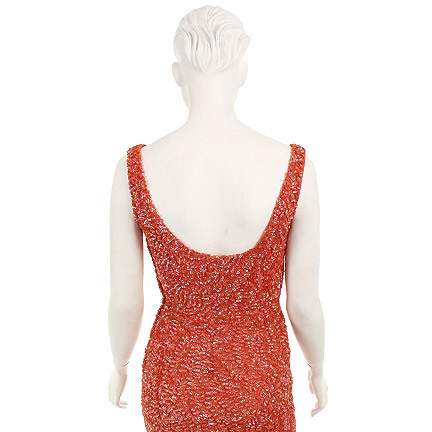 The garment is constructed out of a peach sequined material and bares that original Don Loper label inside the neckline. 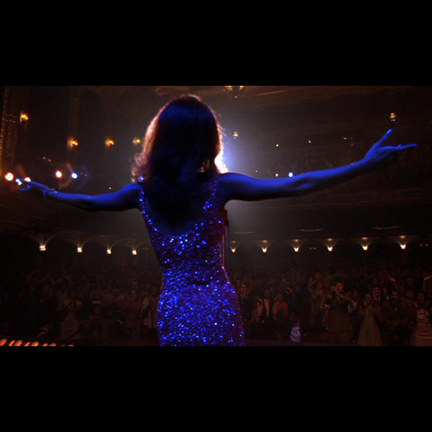 Ms. Berry can be seen wearing the gown towards the end of the film when Zola is performing and Frankie Lyman watches from the back of the theater just before he relapses and overdoses on Heroin. 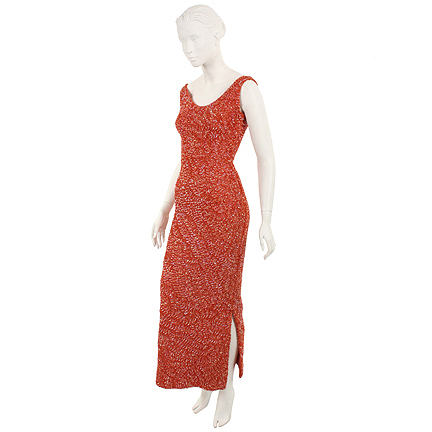 The outfit is in excellent vintage condition and is accompanied by a letter of authenticity from the costume house that provided them for use on the production.